There have been different techniques that have been proposed to carefully help women in coping with such considerable pain during labour and childbirth. One such technique is hypnosis. We often receive calls from the public inquiring if it is okay to apply hypnotherapy to expectant mothers, and we always give them a YES answer. In fact, there are numerous benefits an expectant woman can reap from hypnotherapy. To name a few of the benefits hypnosis can bring: quick and painless births, without the use of any pain medication or drugs. The goal of applying hypnosis during pregnancy and childbirth is to exploit the suggestion and relaxation power. Accessing the target patient’s mind section tasked with taking control of reactions and physiological functions. Hypnosis typically involves conscious-awareness (similar to daydreaming) and focusing all the attention inwardly with increased responsiveness to specific proposals/suggestions. Hypnotic suggestions typically refer to non-verbal and verbal communications that have the ability to positively influence direct perceptions, the practical way someone experiences contractions, behaviour or mood. Therefore, during childbirth, the expectant mothers may properly apply hypnosis in numerous ways that promote gradual relaxation. An effective method used correctly in transforming their perception of pain or even disassociating pain from the gradual process. For instance, the women can perceive the contraction as a preparation for giving birth rather than a painful and suffering experience that is typically associated with disability or injury. During labour, the women can be gently taken through hypnosis by a qualified practitioner. They can also learn self-hypnosis during the pregnancy period for later application during labour. The training program on the effective use of hypnotherapy during pregnancy is at times typically accompanied by the audio recordings that include hypnotic suggestions. One can, therefore, effectively apply hypnotherapy to an expectant mother when it is evident that the woman is encountering one of the following four special cases. Applying hypnotherapy to pregnant women aims to help them cope with that typical fear and anxiety as a result of pregnancy and child delivery. During labour, the fear and anxiety woman experiences contribute to painful contractions. When the proper application of hypnotherapy is done during child delivery, the expectant mother is believed to experience a much even breath rate. Therefore effectively deliver more oxygen to both the mother and her unborn baby. Progressively improving her gradual relaxation especially in the core muscles during the delivery resulting in effective and less painful contractions. As a result, the woman will experience less painful but effective contraction. In the life of a woman, childbirth naturally forms a major emotional, physical and social event. Therefore, the pain management and firsthand experience during labour are significant issues to a considerable number of women and be graciously accorded proper and adequate attention. 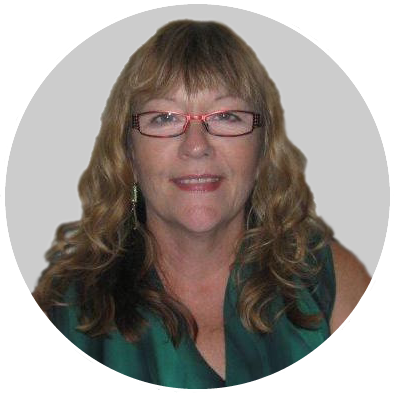 Linda Milburn has been involved in Natural Healing for over 30 years and her past studies and practices have included Aromatherapy, Chinese Massage, and Reiki. The practise of Reiki is a constant in her life and she has taught the modality as a Master for the last 16 years. In her experience with clients in massage and Reiki, she came to realise that many people had mind-based origins for their many physical and emotional challenges. In 2004, Linda started her hypnosis training with Rick Collingwood and the Australian Academy of Hypnosis. Since then she has done further training in the art of hypnosis with Devin Hastings, Leon Cowen, Delores Canon, and others. Linda also acquired her practitioner training in Humanistic Neuro-linguistic Programming with Gary De Rodriguez. Everyone has a unique set of experiences, beliefs, and perceptions. We all think and act in different ways. With a brief consultation, Linda can use your unique views and characteristics to tailor a program specifically for you. Contact Linda at Hypnocare today on 0409 079 435 or 08 9388 6322!